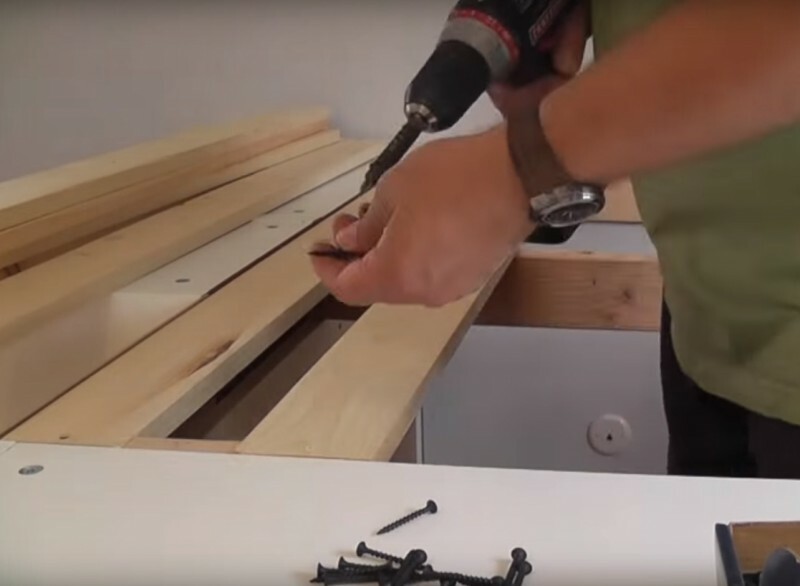 This man took an Ikea kitchen and used it strangely. At the end, everyone is amazed. Chris Heider and his family don't have a lot of space in their apartment. And their pockets are not over-flowing with cash. 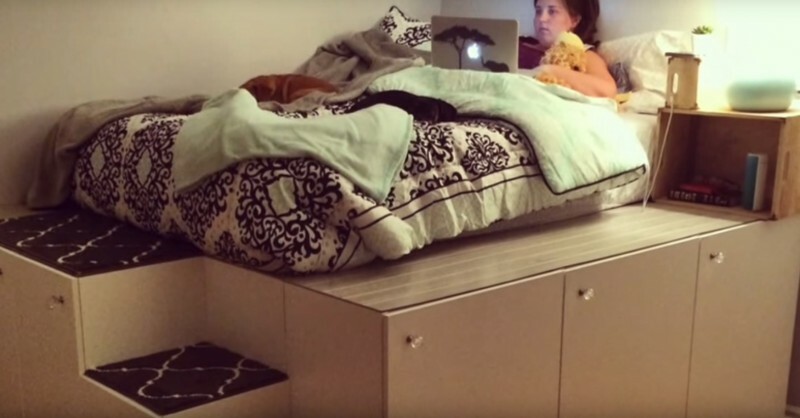 Therefore they wanted to find a cheap solution to their sleeping arrangement that would also provide some storage. Said - done! At the beginning of every project, there's a plan. That way Chris new exactly what he needed to buy from Ikea. Up all he needed 7 cupboards in different sizes. 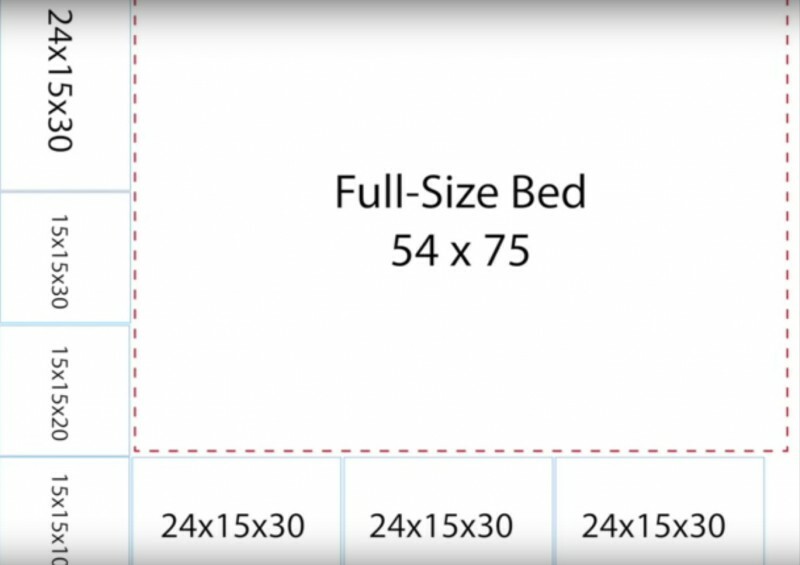 Included the additional material, it costed around 480 dollars (ca. 435 Euro). The first step was to assemble the cupboards. Chris found this easy, because the principle is always the same and very simple. Then he needed to position the cupboards the way he'd arranged them in the plan. 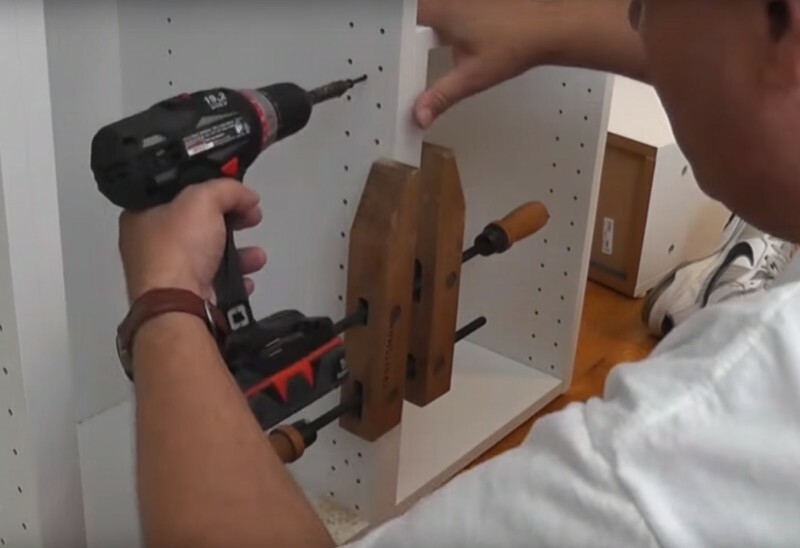 The cupboards held stable by wood-clamps and then screwed together with one screw near the front and one screw near the back. 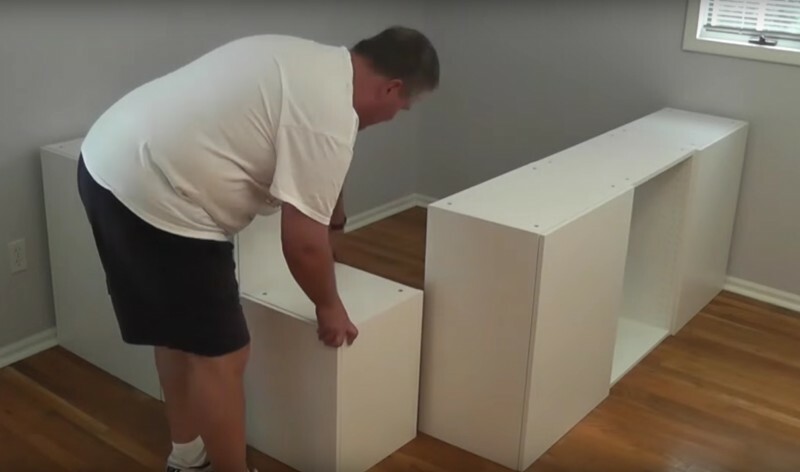 To piece together the bedframe, he got some help from his daughter. They squared the wood onto the wall along with a crossbeam for stabilisation. 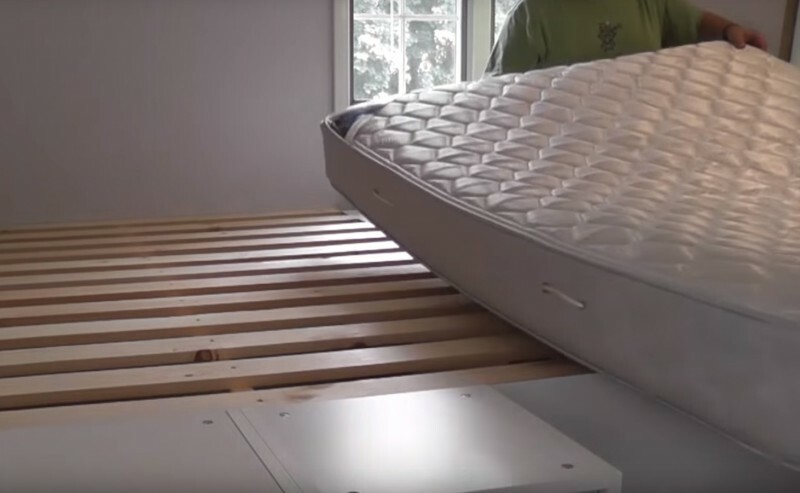 ... the mattress. He had kept this from his old bed because it was still in good condition. Therefore, no extra costs. 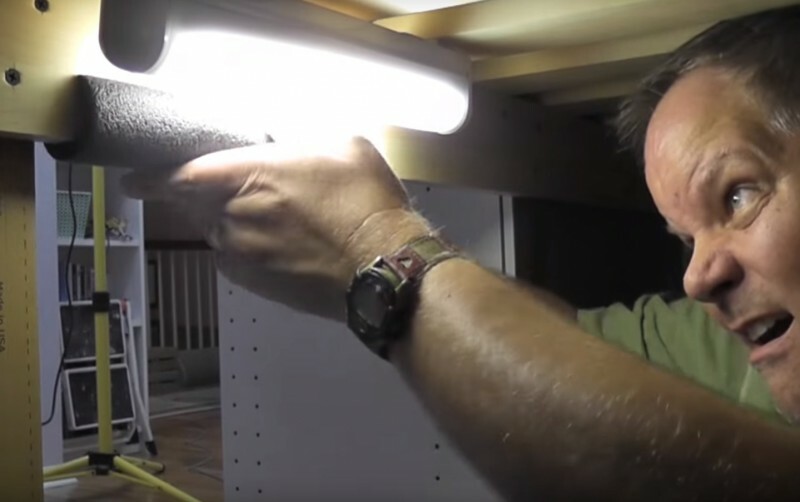 Chris even thought to add in a light so that the storage space under the bed could easily be used. This is what it looks like completed. And who was the first candidate to test the comfort? Exactly, his cheeky little dachshund. He is very pleased with his new play area! This huge laying area just screams for group cuddles, right? After reading a good-night-story to the kiddies, you can even just stay there and fall asleep together. And in the cupboards under the bed there's enough space for all your things. Brilliant! Share this great craft-idea as motivation to all your friends. Everyone would love to have such a cool area to lounge around in.